It goes without question that one of the selling points of anime to me is the soundtrack. I’m not really taking into consideration the opening and ending themes of a show, I’m talking about the music used throughout. The music that plays during the sad moments, or the heated moments, or the truly epic moments that will forever stand out in your mind. However, it’s not just that which sells an anime soundtrack to me. It also comes down to if the soundtrack can stand out on its own away from the show or not. That said, that doesn’t mean I can’t appreciate a soundtrack that doesn’t stand on its own though. I’m going to use two shows as examples of what I mean. The first show I’m going to use is Beyond the Boundary. When I first reviewed the series I gave it a 5 for its soundtrack, purely because to me it had a few nice tracks here and there but didn’t stand out overall. However, after having listened to both soundtrack’s CDs released after the anime finished I appreciated the music a lot more. In my review I claimed the show didn’t have many different tracks and instead chose to reuse them, but after listening to the soundtracks I realize that isn’t strictly true. The show actually had 47 tracks to play with overall which I never expected. Perhaps they just blended into the show so much that they didn’t stand out, but whatever the reason Beyond the Boundary is a very good example of a soundtrack that I utterly adore away from the show and which didn’t really stand out to me at all during the anime’s airing. 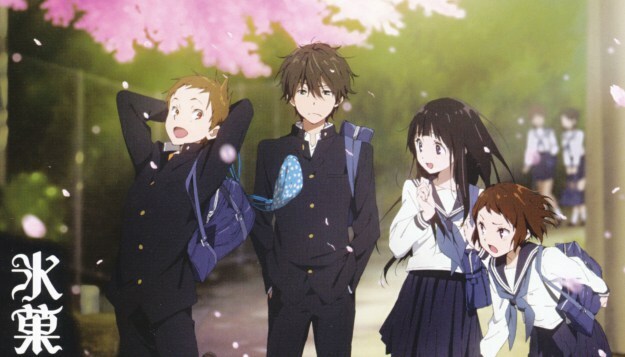 On the other end of the spectrum we have Hyouka. When I reviewed that series I gave it a 6 for its soundtrack because it works really well with the show. When you take the soundtrack away from the show however I realized it actually doesn’t have that many tracks at all. It’s just that the tracks the series does have blends so well with the anime that it doesn’t need any more than what it plays host to. It’s a soundtrack I really appreciate, but at the same time it’s not one I listen to on its own as much as I do Beyond the Boundary. That isn’t just because of the few tracks the show had but mostly because the music just isn’t that interesting when taken away from Hyouka. Now, I know you’re probably thinking ‘well, maybe she just really likes Beyond the Boundary’, but that’s not my only example of soundtracks that stand out really well away from the series they were composed for. 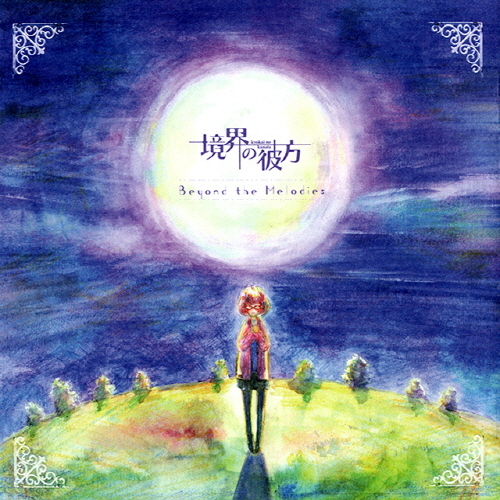 Another fine example is Dusk Maiden of Amnesia (also known as Tasogare Otome × Amunejia) which didn’t stand out to me that much in the show, although it did have its moments, but I utterly adored it when I listened to it on its own. Another fine example of this is the Fairy Tail series where a lot of tracks are reused or just blind in with the series, but take a soundtrack off and listen to it on its own you’re left with something really impressive. I won’t deny that I really enjoy finding a soundtrack that didn’t quite work out with a series but stands on its own, but for me a soundtrack can make a series depending on what it does. Kill la Kill, Attack on Titan and Guilty Crown are good examples of shows where I don’t really like the soundtracks on their own, but when used within the shows themselves they utterly make the anime for me. When I reviewed Kill la Kill I gave it 8.5 for its soundtrack for good reason. 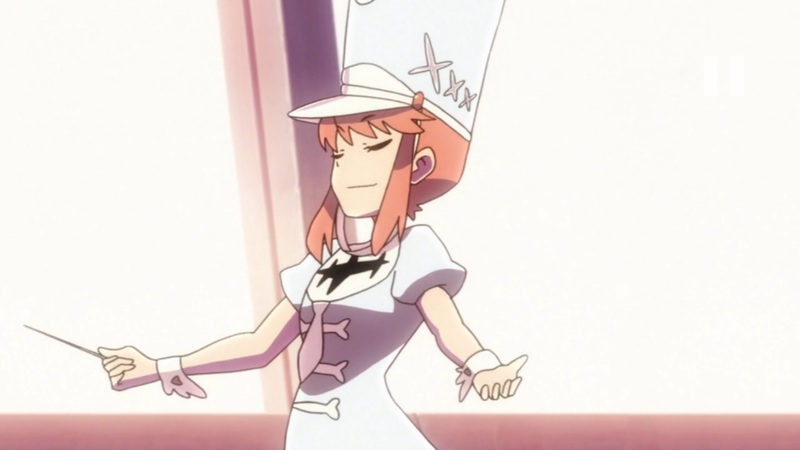 Kill la Kill is the type of series that works incredibly well for a number of different reasons, one of which of course being the brilliant soundtrack it plays host to. The same can be said for Attack on Titan and Guilty Crown. Neither of the series would be anywhere near as strong as they are without the soundtracks they have. What makes a great anime soundtrack for me is undoubtedly something that can stand on its own two feet away from a series, but at the same time some soundtracks just click with an anime and don’t work away from it. I can appreciate those types of soundtracks too provided it’s good music and really, really works with the series in question. 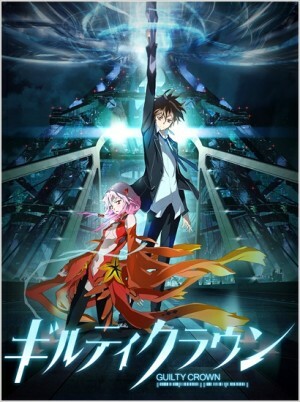 Then again there are soundtracks which can do both like Sword Art Online and Nagi No Asukara. Those types of soundtracks are a fair bit rarer to me but they still come along now and again to move me in a way nothing else really can. I like soundtracks with soulful piano pieces that play with your emotions and make you think. I like upbeat tunes that make you feel good like a lot of the Tari Tari music. I like music that stands out and has you play it over and over again, music that makes you remember the show it came from and makes you go ‘Oh! I know this one’. Anime music can have many different forms and I appreciate it in a lot of different ways, but when it really comes down to it I just really love finding more and more of the stuff that I fall in love with in many different ways.